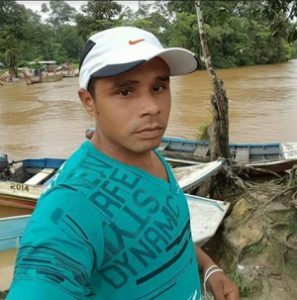 Five days after two cops went on an unsanctioned raid in the Puruni area in Region Seven, during which one of them reportedly shot and killed 29-year-old Estevao Costa Marques, a Brazilian miner, an autopsy conducted yesterday has confirmed that the miner died as a result of a bullet to the back of the head, which exited the forehead. The police constable who was arrested with his senior colleague in relation to the shooting death of Marques has reportedly admitted that it was he who shot the Brazilian. But he is maintaining that he had responded after Marques opened fire. He claims that this occurred after he came upon individuals in the Puruni camp who were smoking marijuana. Much speculation has surrounded how Marques met his demise, since the two ranks should not have been in the area, and were operating on their own. This became abundantly clear when police issued a statement just after word of the incident reached Bartica. The police stated that, “Initial enquiries revealed that the Subordinate Officer and Constable of Kurupung Police Station abandoned the said Station sometime on Friday morning, leaving on an ATV for patrol duties, armed with a .30 Carbine Rifle and subsequently joined a boat and proceeded to a Landing along the Puruni River. On arrival at the Landing sometime around midday on Saturday, the Subordinate Officer claimed that he remained in the boat while the Constable armed with the rifle, exited and proceeded to a shop, and shortly after two loud explosions were heard which caused him (the Subordinate Officer) to proceed to make enquiries. Eyewitnesses initially indicated to Kaieteur News that the miner was shot twice, this account was based on the witnesses hearing two shots, after which the miner dropped dead. The Guyana Police Force, through its Public Relations Department, issued a statement on the findings of an autopsy that was conducted on the dead miner yesterday. According to the police, “…a post-mortem was performed on the body of Estevao Costa Marques by Government Pathologist Dr. Nehaul Singh who gave the cause of death as a single gunshot injury to the head. As the investigations continue, this publication has since learnt that Maria de Nazaré Costa Marques – the dead miner’s mother and a witness to the whole incident – was at CID Headquarters on Tuesday where an ID parade was conducted. The woman was reportedly unable to identify the two ranks that were involved in the incident. When Kaieteur News asked police sources why the mother was unable to identify her son’s killer, this publication was informed that the ranks involved had refused to go on an identification parade. The junior rank involved is still claiming he was shot at first. Reliable sources claim that this has prompted investigators to revisit the crime scene, a situation which raises questions as to what is expected to be found from a second visit of the crime scene, and whether the initial moving of the body from the scene after the shooting, had compromised the scene already. One witness questioned what the operational procedure of the Guyana Police Force is as it relates to the shooting death of persons by police.